With so many soccer games on mobile, is there anything new that Solid Soccer can bring to the table? Developer Raketspel certainly has done so and in a fun way. 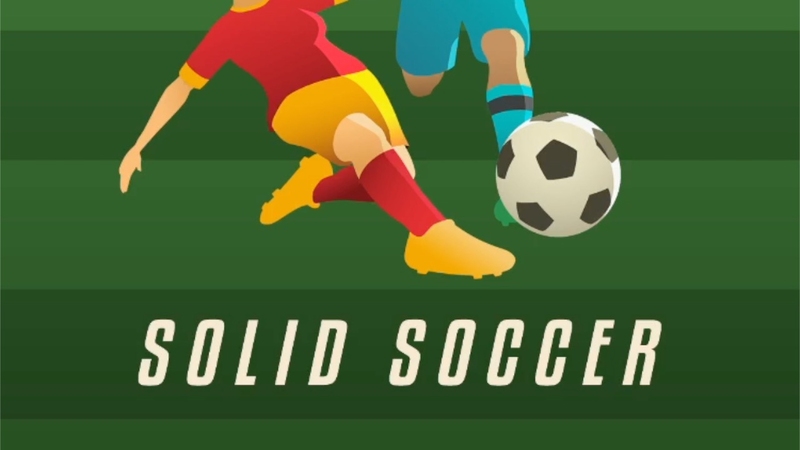 In the best mobile game tradition, Solid Soccer takes away many of the complex rules in the game so it’s faster and more fun. Instead of tapping buttons you just drag and let go to run, shoot, tackle and pass. Because you use the same control for the movements, there is no steep learning curve and you develop a rhythm. This isn’t a soccer simulation but more like an arcade style game, and it’s fun. Solid Soccer is an easy game to get into, and even if you’re no expert in the sport you will get the hang of it quickly. The graphics and sound complement each other, and most important it’s easier to score goals than in real soccer. If you like the game but frustrated at not being able score more, then give Solid Soccer a try. You’ll still face challenges, but it has a lot in the fun factor department.